Ideal for a quick lunch, an exclusive aperitif with your friends or simply to meet up during the day, let yourself be pampered by an impeccable service, lounge music and the most appetizing creations by Chef Augusto Tombolato, inspired by Mediterranean tradition and the best exotic cuisines and cooking methods. 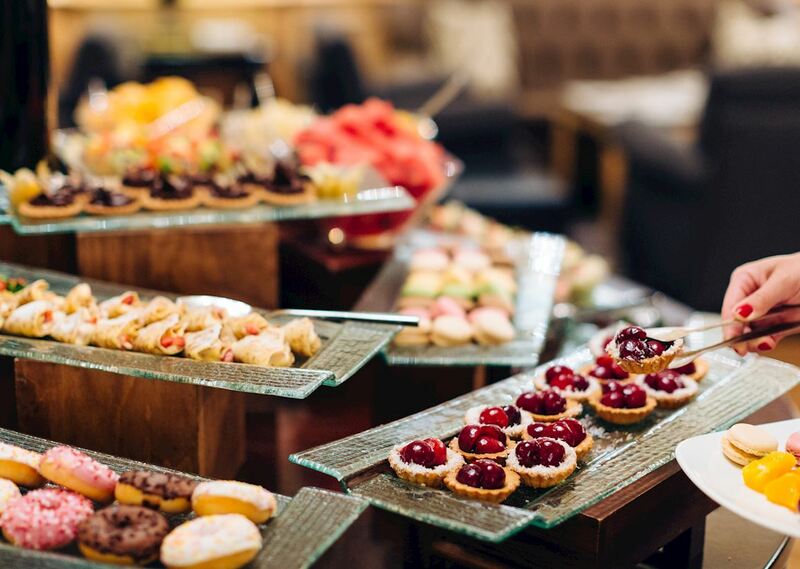 On weekends, The Lounge Bar becomes the perfect place for the Sunday Brunch where to taste a delicious buffet with a wide range of healthy fresh products. Full-bodied and rich, with exciting flavors of malt. Perfect accompanied by milk. Light and refreshing tea with a sweet aftertaste. A sweet infusion of green tea with a slight flavor of jasmine. Petals of hibiscus and dried blackcurrant with a sprinkling of blackberry leaves and dried berries of rose hip. Robust floral body, with a delicate and cleansing bitter complexity in the aftertaste. Refreshing and sweet, with a delicious flavor of bergamot balanced by the richness of the Ceylon leaves. Poetic in its form and aroma, these incredibly small pearls produce the most unforgettable jasmine tea you have ever tasted. A fulfilling taste, round and rich, with a nuance of melon. Persistent and deep aroma, which cleans the palate and leaves a pleasant flavor of mint. Let's Lunch Let's Combo A healthy choice with seasonal ingredients for your 15-minutes lunch. 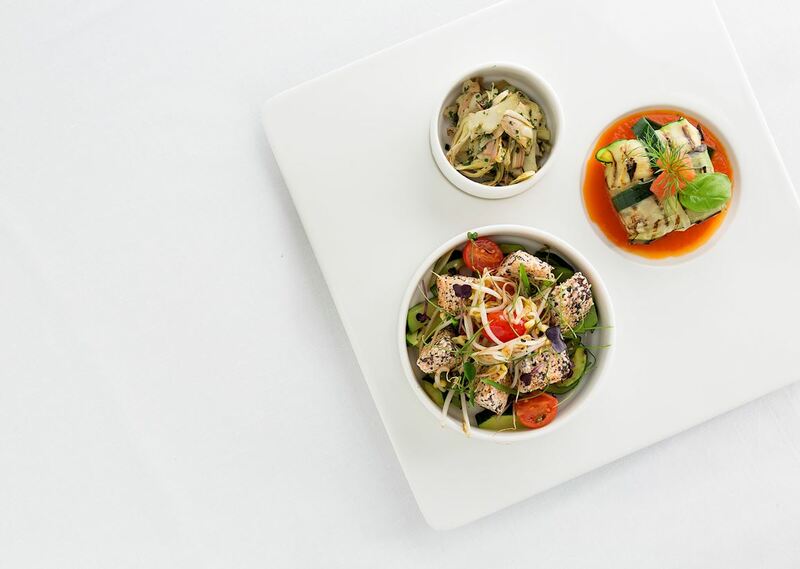 For those with little time available we offer a delicious lunch with the freshest ingredients for €25 per person: first and second courses with a choice of fish or meat as well as vegetarian or gluten-free options. Round off your meal with one of our delicious desserts. Let's Brunch! 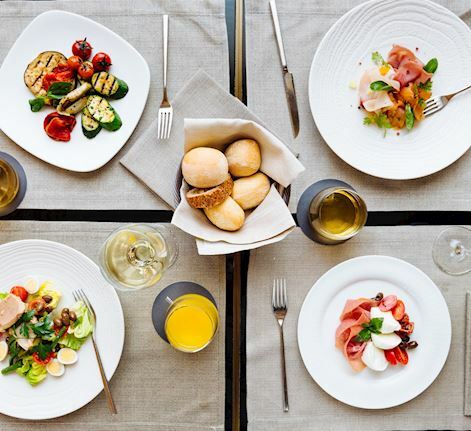 Discover a rich and tasty brunch with a wide selection of Mediterranean cuisine to satisfy your palate and spend a special culinary experience at The Lounge Bar with a completely revisited concept. A fantastic menu with delicious delicacies: hot and cold dishes, pasta and soups, meat and fish, sweets of all kinds and of course, a wide range of vegetarian and healthy dishes accompanied by centrifuges, juices and smoothies. Continue ReadingContinue Reading Let's Brunch!